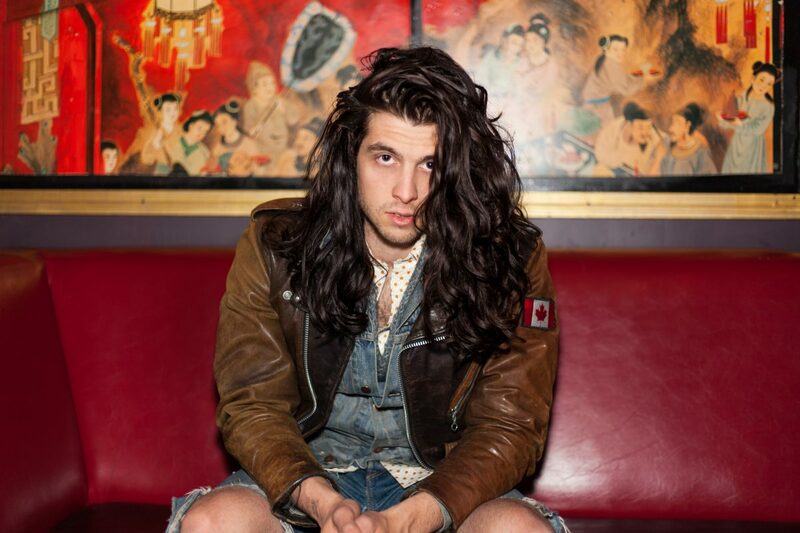 In a corner lounge tucked away at the back of the historic Irving Plaza in downtown Manhattan, I caught up with Canadian-born singer Billy Raffoul. We camped out on the deep red, leather sofas while soundcheck for his tour mates carried on upstairs. New York represents the midpoint of his more than twenty show tour across North America. This isn’t the first time I’ve met Billy Raffoul, but it is the first time I had a chance to hear about what first made him want to pursue music. The singer’s desire to perform was first evoked by seeing his father, a musician as well, play shows in their hometown of Leamington, Ontario. “They would pack the whole football field with a bunch of people,” he described his old high school where they did annual summer concerts often attended by hundreds of people. “It was the interaction between him and everybody else. Everyone was singing along. It was the experience of it all. I fell in love with music when I was young, but not like that. That’s why I’m doing it. Because of the live aspect.” said Raffoul who was 13 or 14 at the time. The moment has stuck with him ever since. His debut album is set to be released later this year. The pressure for a new artist to make a lasting and memorable first impression is not something that is lost on the songwriter. “I think what I’m trying to do on the album is something that sets me up so that I could take it in a couple different directions while still being one identity,” Raffoul says adding that while the album has an unmistakeable rock influence, there are introspective moments more in tune to that of a singer songwriter as well. Artists are presented with the challenge of wanting to show versatility while also presenting a united image and style. Complete creative freedom does not often fit within the confines of a recognisable brand. “They say it’s a bad thing. You need to be selling people on one thing. At the same time, I want to be all these different things,” says Raffoul. Still, he sees the whole process as an opportunity for growth. “They can always be better,” he says self-deprecatingly of his songs. If there is one thing he knows with certainty, it is his love of performing for an audience. Like the many moments he watched his father connect with a crowd of strangers, Raffoul is eager to show people what he is made of. “I don’t know when I’m going to break out of this stage that I’m in, I don’t take it for granted, but I go into rooms and the majority of the people in front of me do not know who I am,” he shared. Later that night he opened the show to an unfamiliar audience ready to be someone they would remember. His soulful, story-filled voice won the crowd over before the first chorus concluded. Looking out over the countless people with their eyes transfixed on the stage, each thoughtful verse was met with more bobbing heads nodding in approval to the beat. With each song, cheers grew louder, and strangers swayed as they became new fans.